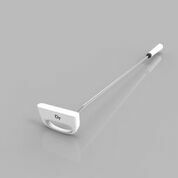 The DT Smart Putting Training Aid, a slope-detecting putter that helps golfers develop a more precise putt, has been launched on the crowdfunding website Kickstarter with the creator setting a $10,000 goal to get the golf-training aid into production. 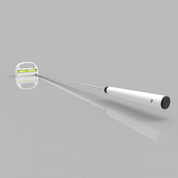 Dmitriy Advolodkin (Dee-meet-tree Ad-vol-lod-kin), president of DT, says he developed the training aid specifically for golfers who have trouble reading putting greens. Advolodkin says he got the original idea for the training aid from his own personal challenges with putting. The actual retail price of the DT Smart Putting Training Aid is $150, but during the Kickstarter Campaign over the next 30 days it is offered at an early-bird price of $80 – with backers receiving more discounts when they purchase two or more. DT is a privately-owned business based in Germantown, Maryland is dedicated to providing new and innovative products that enhance the game of golf and provide golf enthusiasts the most cost-effective products that will have a positive impact on their golf game. 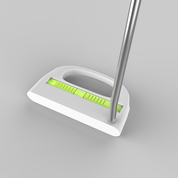 For more information, visit http://www.dtouchputter.com.